It only takes a moment for a life to change forever. Ethan Denton is a lucky man. Most things have gone his way, and being granted full custody of Nate, his young son and “North Star,” has given him a near-perfect life. On a crisp winter morning just before the start of deer season, Ethan and Nate set off together to discover the beauties of the forest. As he parks the truck, Ethan spots a pair of magnificent bucks, and, eager to take a closer look, leaves Nate asleep in the car seat, a brief, impulsive decision any parent might make. When he returns only a few minutes later, the door of the truck is open and Nate is nowhere to be seen. As an unexpected blizzard blankets the woods, Ethan searches for the missing three-year-old with the help of other townspeople: Ethan’s ex-wife and his ex-best friend; an older Jewish judge, whose concern and involvement is colored by recent problems with his own son; a middle-aged lesbian couple; and others touched by the crisis. Nate’s disappearance brings up past wounds for everyone, but also miraculously provides the chance for love and redemption as they struggle to make sense of the inexplicable. 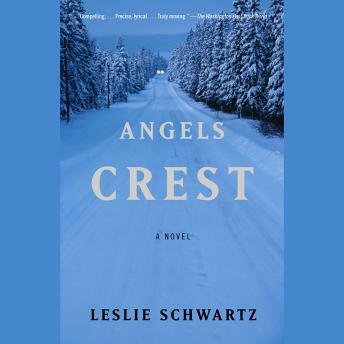 ANGEL’S CREST is a beautifully wrought work, a seamless blend of dramatic suspense and emotional truth.